Waid Griffin loves to paint and along with technical knowledge developed through long practice, his teaching brings the experience of art as an enjoyable, creative process. From beginners to painters with more advanced and varied approaches, students have benefited from information based on tried and tested methods. The teaching is directed to each artist's desired area of exploration, and level of skill. 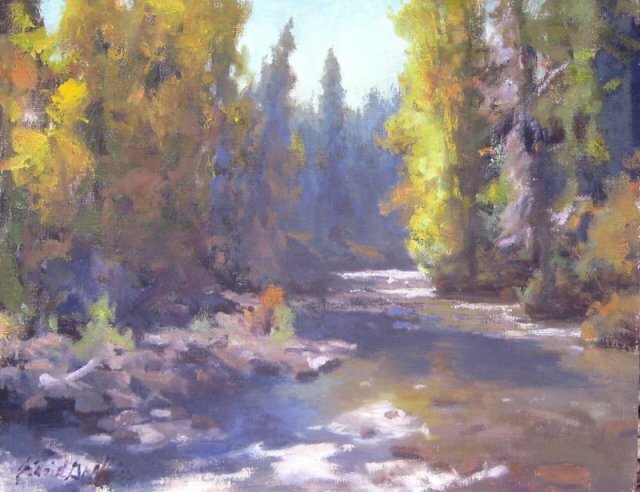 Waid is a Faculty Emeritus of the New Mexico Art League and teaches in-depth, eight week courses in painting each Fall, Winter, and Spring. In addition to painting production from his studio in Albuquerque, Waid tutors high school students in Art & Music Appreciation, Oil & Watercolor Painting, Drawing, and Clay Sculpture at Rio Grande Enrichment Studies. Tuition covers a room for two nights and meals through lunch on Sunday. 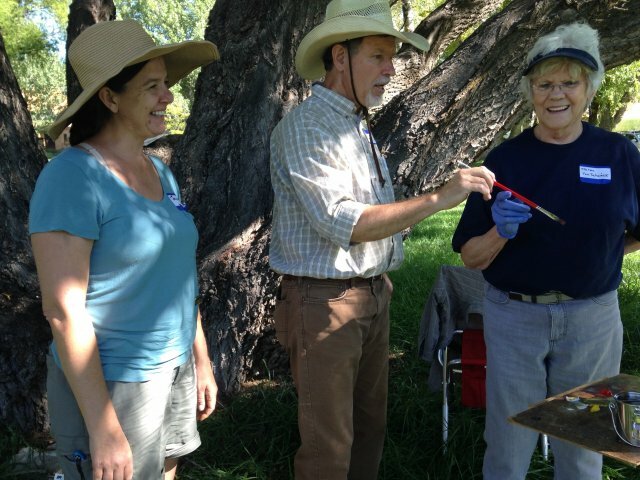 Paint the change of season for three glorious days on the grounds of the Monastery at Pecos, with J. Waid Griffin as your workshop instructor. Tuition includes two nights lodging and meals through lunch on Sunday. 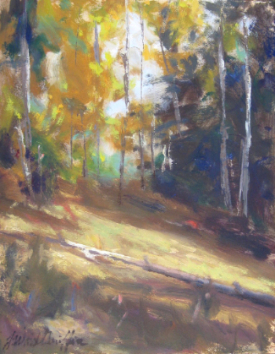 Paint the change of season on locaiton for three glorious days on the grounds of the Monastery at Pecos, New Mexico with J. Waid Griffin as instructor.